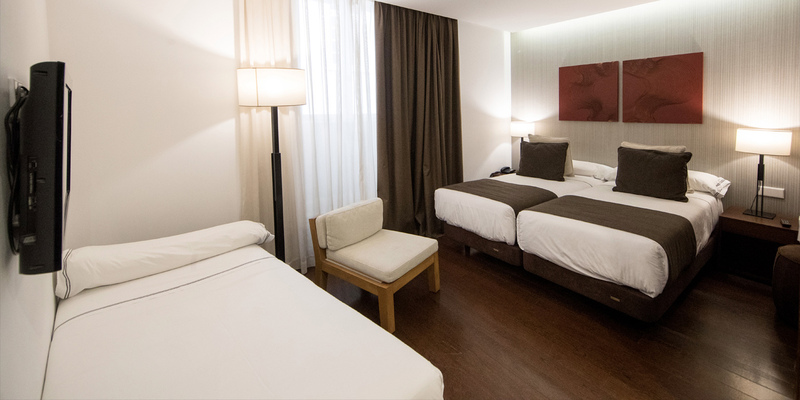 Our Hotel Carrís Porto Ribeira, located in the heart of Porto’s Ribeira, expands its range of rooms with a new category: the Triple Room. Equipped with two twin beds and a single bed, the room offers the same design, services and amenities than the hotel’s other rooms. With this new category, Carrís Porto Ribeira aims to keep meeting the needs of different types of travelers through a wide selection of rooms for all tastes, including the Arc Carrís apartments. If you fancy a family stay in Porto, come and try the new Triple Room!